It's so exciting just to be following on the sidelines! Yes it is! And Gary came through - I'm receiving e-mails to keep up with what is going on. Here's another great article about the LRF crowdfunding effort. It sounds like they're going to try to buy minority shares in stakes horses and possibly even a Derby contender! I'm hoping to get an official email from LRF soon though. If anybody is down near Fair Grounds, they just created their own racing club! It sounds very similar to the successful Churchill Downs Racing Club, and Spendthrift has provided them with two horses by Into Mischief for the club. From what I've heard though, these racing clubs tend to sell out very quickly (1-2 days) so get in on it if you're in the area! You'd probably have to check. It could be an annual club in which there is a new one every year (so a club starting in 2017 that runs until their horses retire or are sold), or it could be an annual investment of $500. I'm not clear on that. We still have not received the official go ahead from StartEngine. Being new to this ourselves we apologize for not being better at understanding the protocol to when escrow delivers the funds and names and emails to us. I am told there are no hiccups at it is just a matter of time for the proper papers to be filed. I am hopeful we will have everything by the end of 2016. Behind the scenes we are actively looking for our first horse. If anyone has any questions, please feel free to reach out to us. I feel more annoyed with StartEngine than anything else. They should at least be able to let companies know an approximate timetable for when they can expect funds, etc. It sounds like LRF had no idea it would take this long. I got the official email from LRF at last! I'm just crazy excited to get started with this =D They haven't found any horses yet, but they're actively on the lookout. Welcome to LRF's Equity Crowdfunding Partnership!! First of all… WELCOME FINALLY TO THE LRF THROUGHBRED FUND AKA THE EQUITY CROWDFUNDING PARTNERSHIP! We just received everyone's info and emails and we are extremely excited to get going. We understand the funds will be transferred to the partnership bank account next week. It is a testament to the kind of partners we have and the enthusiasm of horse racing fans everywhere that we have over 175 people and likely about $280,000 in funds. We will know the exact count and dollars raised next week and will disclose to everyone. For those of you new to LRF, we send email updates regularly. After each workout, race, etc.. Every horse's journey is documented in these emails. Communicating with our partners is the hallmark of LRF. Likewise, if you ever have any questions about the partnership, please let us know. While it may be tough to answer everyone individually, we will do our best. We may answer questions in a group setting like this in case others have similar thoughts. Our contact info is listed below. Now, on to our first update! We have been scouring the country looking for horses. Due to our budget, our hope is to find stakes quality horses and purchase between 1% and 5%. This will allow us to reduce risk and spread our changes of finding a very good and exciting racehorse. We will also be looking for other types of horses as well (allowance, maiden winners, etc.) in order to try and provide the best ownership experience we possibly can. 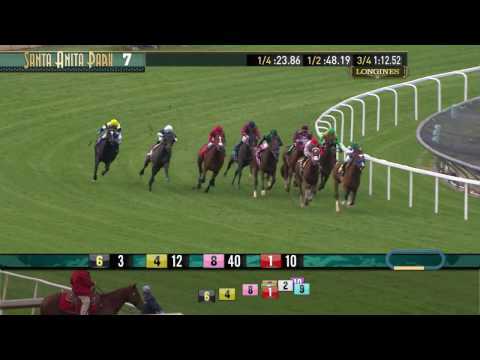 As you know, Santa Anita is very excited to help in any way so tickets and seating arrangements should never be an issue. We hope other tracks will also welcome us. The entire industry is watching this first ever equity crowdfunding partnership. Thus, your happiness is not only very important to us, but the industry as well. We will try to send a global update at least once a week detailing our efforts to find that first horse. Until then, we wish everyone a Happy New Year - and welcome! So unfortunately I'm not allowed to say anything that isn't public knowledge, but let's just say that LRF is hoping to announce some exciting news later this week regarding the first horse purchased for the fund. I'll let you guys know as soon as it goes official though! Awesome. Fingers crossed! I'll put him/her in my virtual stable. I don't think this one is headed to the Derby, but I won't say more than that. Maybe one of the other horses we buy into will if I get really lucky. So the (minority interest) sale is official, but I haven't seen anyone else post about it publicly yet. I'm just trying to confirm with LRF that it's okay to talk about it with people outside the partnership now. So I should be able to tell you all who I'm a partial owner of tomorrow! Super excited to announce that I now own a partial share in Cistron! He's a 3yo colt by The Factor out of Major Allie (by Officer). 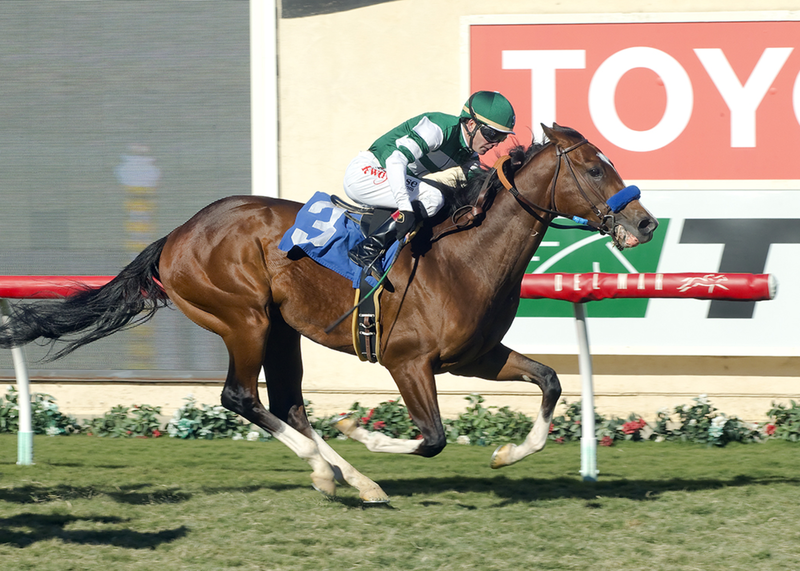 His majority owner is Hronis Racing and his trainer is John Sadler, so he has the same connections as Stellar Wind, Iotapa, and Hard Aces. He raced four times as a 2yo, including two starts sprinting on the dirt before he switched to turf and broke his maiden stretching out to a mile. He most recently finished a very good 3rd (only missing the win by a length) in the Eddie Logan Stakes at Santa Anita. A stakes caliber horse! Fantastic. Hope to see him in the winner's circle soon. Congrats. I hope so too! Thanks =D I'm pretty sure he'll be entered in an allowance race next though (purely speculation on my part, as I don't have the official plan yet from Kosta and John), but mostly just because there aren't many stakes races for 3yo colts on the turf in California this time of year. Great news! I'll be sure to put him in my Virtual Stable. Congrats, Jae. He looks like a powerful runner -- good luck with him in the future! Congratulations, Jae. I put him in my Virtual Stable and will be enthusiastically rooting for him! !